In the last post, I focused on the physical attributes of libraries that make a difference in customers' relationships with the organization. This post, which comes from the third principle of Joseph Michelli's The Starbucks Experience, focuses on the attitude of staff and how it affects customer loyalty. This may come as a shock to you but customers usually expect good customer service from the places they visit. When an organization can deliver EXCEPTIONAL customer service, the customer is usually both surprised and delighted by the exchange. Let's look at some examples of both planned and unplanned surprises that can go a long way to make the customer in front of you a frequent visitor and life-long fan of your library. Going the extra mile is a recipe for success. 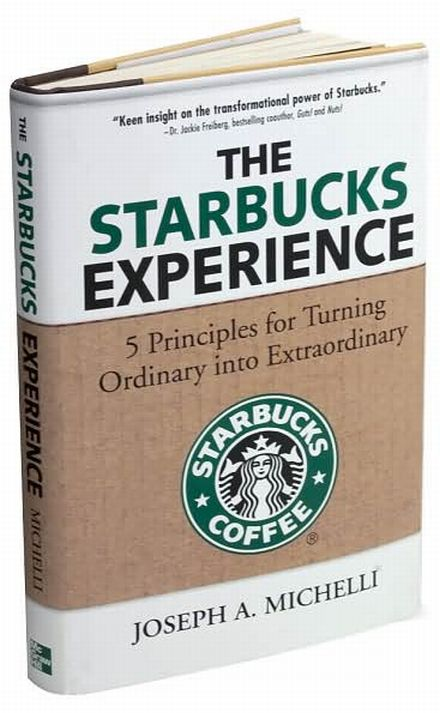 Helping a customer carry their books to the car or walking them to the shelves to retrieve a title are great, and yet simple, ways to make a difference in your customer's experience. As I've said before, most customers think they are bothering the staff when asking for help, not realizing that helping them is what we are paid to do. Anticipating when a customer needs help, instead of waiting for them to ask, means the customer will be more likely to come to you with future inquiries. And that's what we want, isnt it? The goal should always be about making this customer a customer for life. It's amazing how far a smile can go. Even the most hard-to-crack people will acknowledge a smile. Even better than a smile, is a word of recognition. "How are you," and "did you find everything okay today," are great acknowledgements that will delight the customer and make them feel welcomed. If you're seeking something better than a smile and a word of recognition, you should surprise your customer by digging deeper. For example, if you are assisting a customer searching for Michael Crichton books, ask them specifically about the book and why they like them. Doing this not only engages the customer but will give you reader's advisory information to pass on to the next reader. If there is one thing in life you can count on it's that people love to talk about themselves and, by extension, the books they read. The library suffers from a PR problem. People tend to only think of the library in terms of books and, as you and I know, this is just not true. The library has been, and always will be, about passing on information. In the past, information was provided in books but now information has become much more collaborative. This explains why you see your neighborhood branch with more hustle and bustle. Planning programs that the community wouldn't associate with the library will accomplish the surprise and delight goal we are trying to achieve. If you would like to plan more programs but just do not know where to start, here's a few tips to get your library going. Ideally, the program should highlight the library's collection and information resources but, truth be told, anything goes because it's all information! Remember it's all in the attitude. What unplanned thing do you do everyday to make your customer's happy? What can you plan that will certainly be a surprise to your library customers? To be continued with Principle #4: Embrace Resistance . . .